Looking for hotels near Gare de Lyon? Aligre is located in the 12th arr. 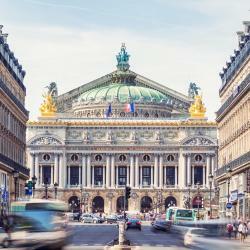 District of Paris, a 15-minute walk from Opéra Bastille, 1.8 miles from Pompidou Center and 2 miles from Sainte Chapelle. This property is 2 miles from Notre Dame. Zazie Hôtel is located in the center of Paris, a 20-minute walk from Bastille and AccorHotels Arena. It offers simple soundproofed rooms with Wi-Fi access. Good hotel for solo travelers/couples. Bel Oranger Gare de Lyon is a 3-star air-conditioned hotel with a elevator and is located in the heart of the 12th district. we rented the hotel at the last minute. 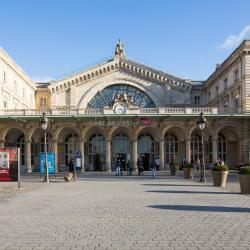 Hotels with great access to Gare de Lyon! Just 5 minutes by foot from Gare de Lyon SNCF Train Station, this hotel features a 24-hour front desk and express check-in and check-out. 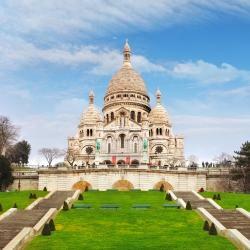 Located on the doorsteps of Gare de Lyon train and metro station. People are talking about Gare de Lyon! Explore guest hotel reviews featuring "Gare de Lyon"
Friendly, helpful staff, nice, connecting rooms, beds were comfortable, rooms were clean, relatively quiet, breakfast was good with scrambled eggs, cheese, bread, fresh fruit etc. at the buffet. The neighborhood Bercy is fine even though the hotel is only a five minute walk from the Gare de Lyon train station, you can walk to the Parisian version of the High Line in minutes, the Seine is also near the hotel, good bus and Metro connections to most everywhere etc. The hotel was a really good and affordable deal for a couple of nights in Paris. If you are searching for a place, just for sleeping and showering and you don't expect a high standard, we can totally recommend it. The place is very close to the train/metro station. Gare de Lyon ist about two minutes by walking. We had very friendly and helpful staff with 24 hour service. The location was perfect-- right across from the Gare de Lyon, the metro (a direct line to the tourist sights), numerous restaurants, and the best bakery. It was close enough to walk to Bastille and, a bit further, Notre Dame. The woman at the front desk was very pleasant and allowed us to check in early. It is a relatively small hotel, which was nice. 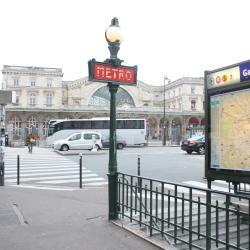 The hotel is conveniently located close to the Bastille metro station and not too far away from Gare de Lyon. It is a rather modern building with well equipped and maintained rooms. the breakfast was also very good with a lot of choice, an exception in many French hotels. 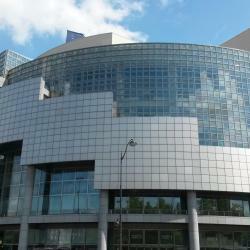 The location, one block from Gare de Lyon and a 5 minute walk to Place de la Bastille is very convenient. The staff was uniformly excellent and helpful. The room was very reasonable for a Paris Hotel of this level and the price was more than reasonable. I liked the location away from bus loads of tourists and close to Gare de Lyon where I needed to catch a train. I loved my very small, very clean and simple room and I loved having breakfast included in the price. Nearness to the Gare de Lyon.